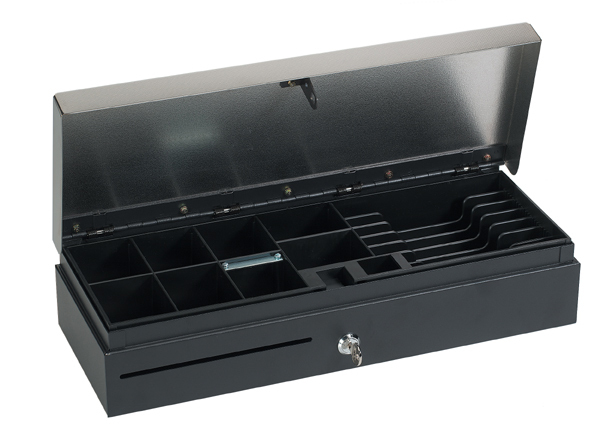 Vertical note heavy duty POS Cash Drawer allowing 8 coin / 5 note with adjustable compartments. POS System interface via an RJ11 plug connected to the POS Printer to allow automatic 'fire' on completed transaction. Manual opening available via key lock. PROSPA PAY Buy over 13 weekly payments of $ 22.69 (ex. GST). No Interest ever and No Fees if you pay on time. Contact Prospa Pay online at PROSPA PAY or call 1300 706 983 for a simple over the phone application. No obligation.